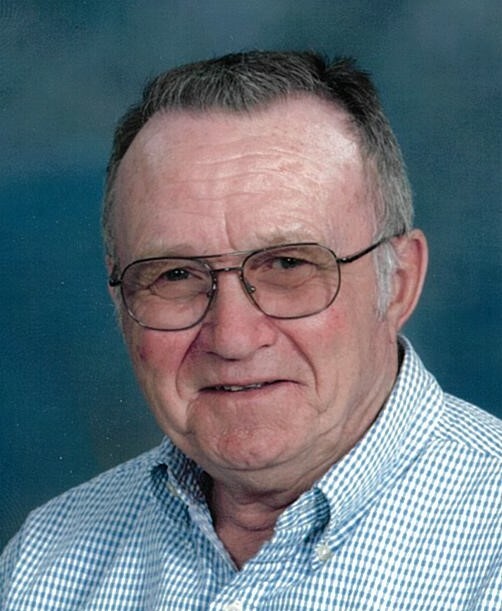 Gail R. Myers, 80, of Uniopolis, passed away at 7:44 a.m., Sunday, November 18, 2018 at his residence. Gail was born on January 4, 1938 in Clay Township to Charles W. & Gertrude A. (Keis) Myers who preceded him in death. On September 11, 1965 he married Carolyn M. Gerstner and she survives in Uniopolis. Survivors include 3 children, Sheila Murphy of Columbus, Scott (Stacy) Myers, of Wapakoneta, Debra (Ralph) Ebner of Carrollton; 4 grandchildren, Hannah Murphy, Rachel Murphy, Nicholas Myers, Chelsea Myers and a sister Mabel Shaffer. Gail was preceded in death by his brothers and sisters; Carl Myers, Clay Myers, Roger Myers, Ruth Miars and Melba Myers. Gail retired after 33 years with G.A. Wintzer and Son as a truck driver. Gail enjoyed being in his garage restoring tractors and lawnmowers. He was a member of St. John Catholic Church, Fryburg. He enjoyed traveling especially going to the Smokey Mountains. Funeral services will begin at 10:30 a.m., Saturday, November 24, 2018 at Schlosser Funeral Home & Cremation Services, Wapakoneta with Rev. Jarred Kohn officiating. Burial will follow at St. John Catholic Cemetery, Fryburg. Friends may call from 6 to 8 p.m. on Friday and 1 hour prior to the service at the funeral home. Memorial contributions may be directed to Uniopolis Volunteer Fire & Rescue or St. John Catholic Church.